Coventry Burke, Ashley Taylor, Rachel Cothran and Heather Guay at the District Sample Sale. Photo by Abby Greenawalt. 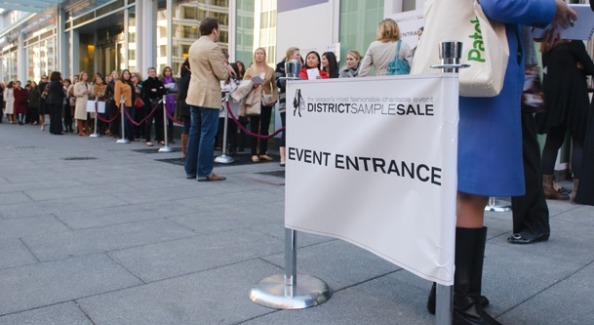 Fashionistas shopped til they dropped at the sold-out District Sample Sale featuring over twenty stores which were clearing out their inventory and highlighting previews for spring collections. Some of the favorites included Caramel, Ginger, Charm Georgetown, Luna, Sassanova, The Shoe Hive, Urban Chic and Wink. 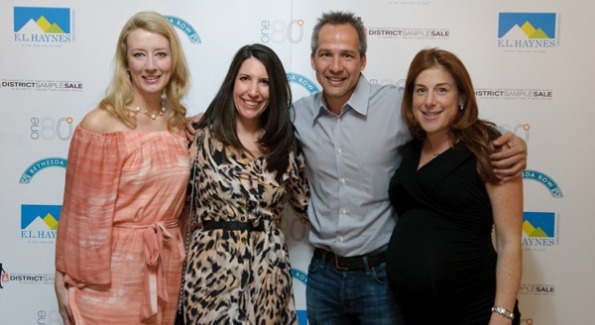 Founding members Shannon Haley, Liberty Jones, Jayne Sandman, Barbara Martin and Mary Amons started the District Sample Sale Foundation in 2006. Each season a charity is selected to support with this year’s being the E.L. Haynes Public Charter School’s computer center. Every $500 that was raised at the sale provided a laptop for an E.L. Haynes student. Beyond the deals, shoppers enjoyed cocktails, hors d’oeuvres and fashion related silent auction items. Liberty Jones, Barbara Martin, Winston Lord and Jayne Sandman. Photo by Abby Greenawalt. 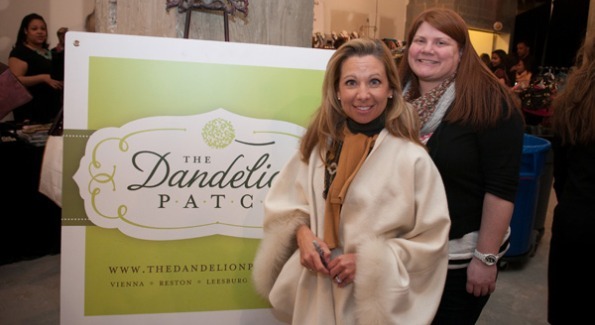 Heidi Kallett of The Dandelion Patch. Photo by Abby Greenawalt. Shoppers waiting on the VIP line. Photo by Abby Greenawalt.